Last weekend, I was in the mood for experimenting and wanted to make something new that I had never made before. Being an amateur blogger, I’m still trying to get used to measuring when I cook and bake, and I’m working on documenting my recipes to share with the world. It’s a work in progress, but Rome wasn’t built in a day. That said, I had a head of cauliflower in the fridge and it served as my canvas for our lunch. Cauliflower is not hubby’s favourite vegetable to say the least. 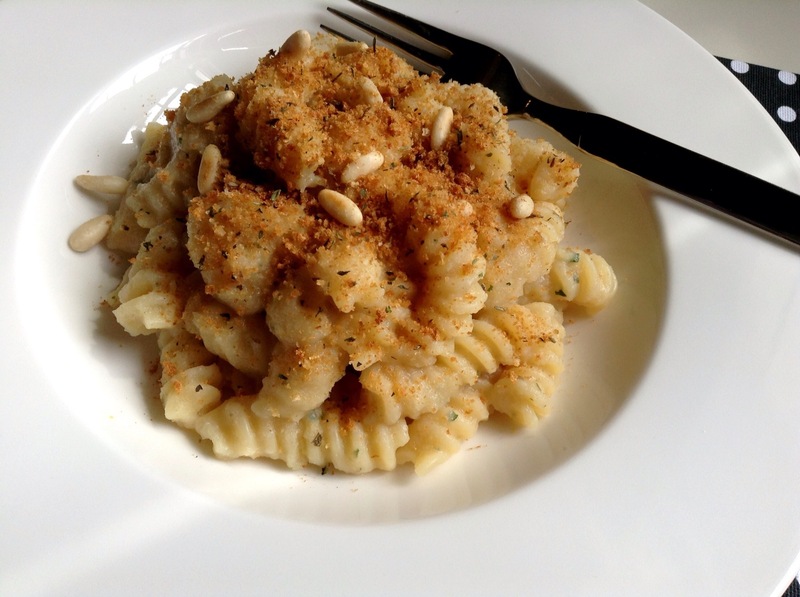 However, being the supportive and loving hubby that he is, he agreed to go along with my plans, to create a pasta and cauliflower dish that I could share on this blog. While it may seem like a trivial gesture, agreeing to eat cauliflower pasta when you don’t like it (and then enjoying it 🙂 ), it meant a lot to me. Not for what it was, but for what it represented. He was making a small sacrifice, for the benefit of my blog (not to mention his health). The risk was not substantial, it was only lunch after all, but nonetheless, it was an effort and I was appreciative. In that rather ordinary moment, I realized how important it was not to take the little every day gestures for granted. We often notice the big things and let the small things go unnoticed, but I’ve made a promise to myself recently to recognize and appreciate the small things, because in the end, life is full of little gestures waiting to be noticed. Back in the test kitchen, I sought inspiration from a traditional Italian recipe from Naples, in the south of Italy, Pasta con Cavolfiore alla Napolitana (Neopolitan Pasta with Cauliflower). This dish is traditionally prepared with cauliflower, garlic, and cheese (pecorino or parmiggiano), but since I don’t eat dairy, it had to be modified. I ended up changing it completely and wound up with two recipes instead of one; Pasta with Cauliflower, made from a Creamy Cauliflower & Shiro Miso Purée. I decided to use Shiro Miso, for it’s delicate sweet/salty flavour and creamy texture. 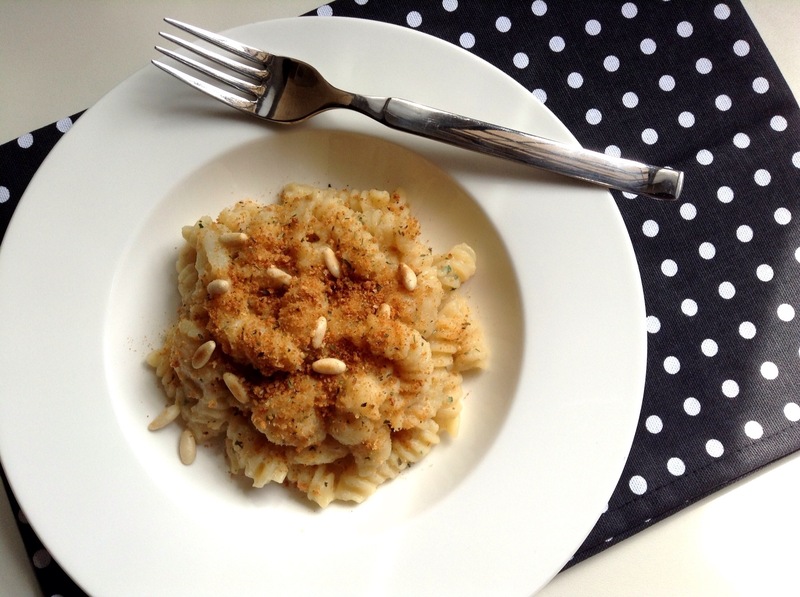 To add crunch, I topped the pasta with toasted pine nuts and toasted lemon herb infused breadcrumbs. The end result, a light, delicate and flavourful dish that is rich in nutrients. Shiro Miso is loaded with enzymes to aid in digestion, it also helps strengthen the immune system and maintain beautiful skin, while Cauliflower is a great source of calcium, folic acid, and iron to name just a few. Bring a large pot of water to boil, salt with coarse sea salt (about 1 teaspoon) and add pasta. Cook according to package directions, preferably al dente. While pasta is cooking, proceed to the next step. In the same pan, dry toast the breadcrumbs. 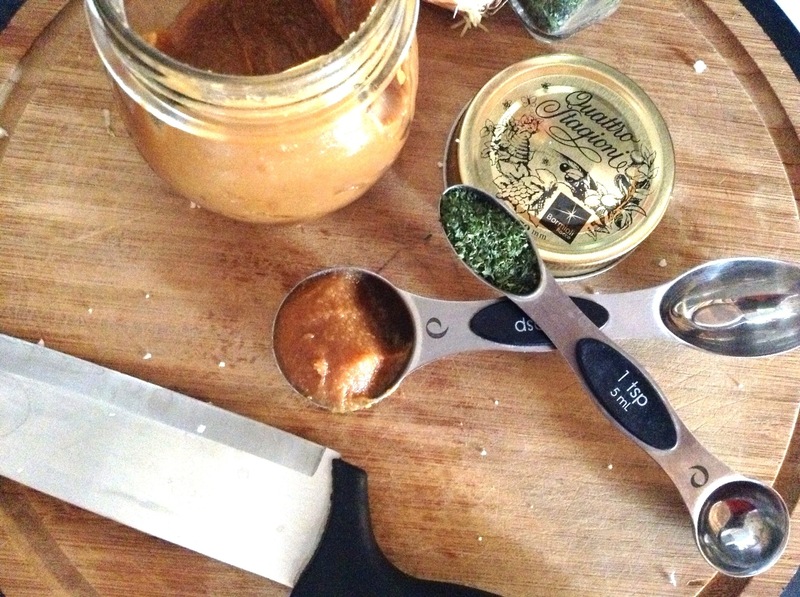 Add herbs, sea salt and lemon juice and continue to toast until the mixture is dry and crumbly. 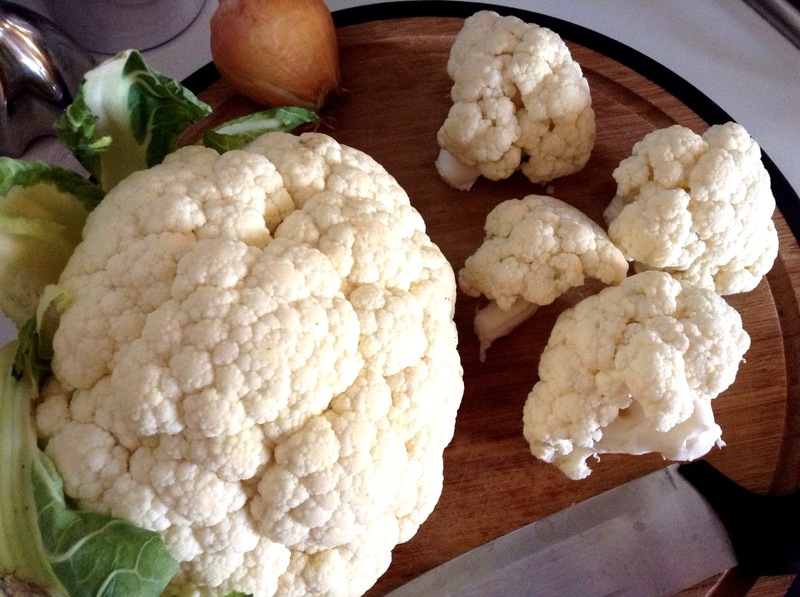 Add cauliflower purée to a large pasta pan or wok over medium heat. Simmer to reduce for about 2-3 minutes. Once past is cooked, drain and toss in the creamy cauliflower mixture. Top with toasted pine nuts and breadcrumb mixture and serve piping hot.